...and also the biggest, thanks to you! Agricultural Fuel Oil – direct! 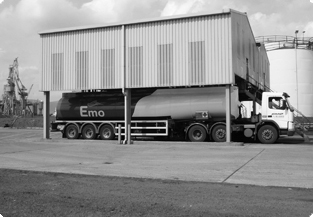 Emo is one of the leading suppliers of agricultural fuel oil and other fuel oils to the Irish farming market – direct from the terminal! To cater for the agricultural sector’s specific needs we have a dedicated Farm & Agricultural Team based at our head office in Portlaoise. We can guarantee quick delivery and local knowledge, thanks to our network of nationwide regional depots. 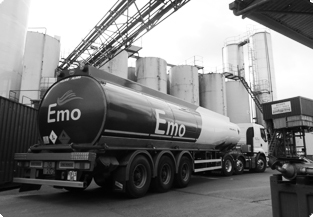 Emo supplies a broad range of agricultural fuel oils including Gas Oil (also known as Green Diesel, Agricultural Diesel and Marked Gas Oil), Kerosene, Road Diesel (DERV), Unleaded Petrol and Fuel Oils. Sulphur Free Gas Oil (SFGO), which is also referred to as Gas 10 has a much lower sulphur level than standard Gas Oil (Gas 1000). It is often called Gas10 as it has only 10 parts sulphur per million. It is dyed green in the same way as standard marked gas oil, meaning it is illegal to use as a fuel for on road vehicles. Sulphur Free Gas Oil is better for the environment due to the low sulphur content. Sulphur Free Gas Oil is designed for the latest John Deere, Case New Holland (CNH), Cat & ARGO engines. For an express Agricultural Fuel Oils quotation, please select your product type, quantity and location from our Express Quotation Engine or alternatively contact Anita by clicking on the team member icon on the right-hand side.